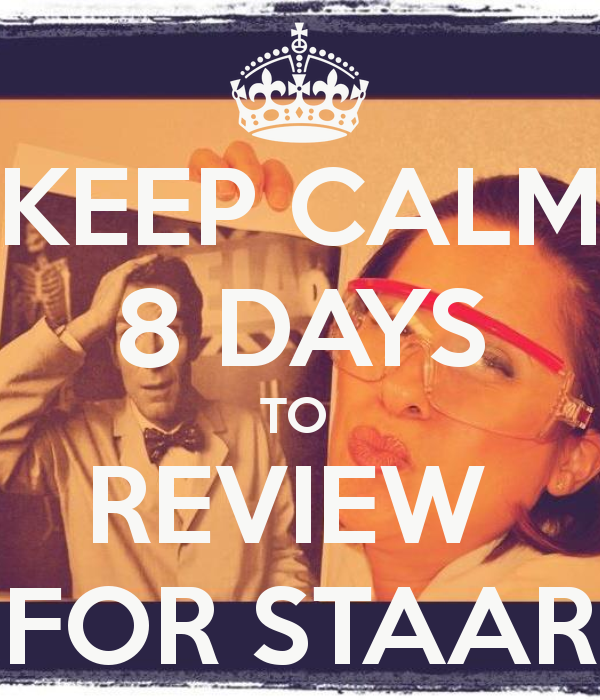 First of all, I should be upfront in saying that I take way more than 8 days to review for the STAAR Test. There are things that are ongoing throughout the year as well as things I do a few weeks before the test is administered. But, if you are down to the wire and feeling the crunch, this would be one of the best ways to spend your time. It's gonna kill a few trees, you are going to be walking around the room like a mad person helping struggling students, but it is the most thorough method of review I have found so far. 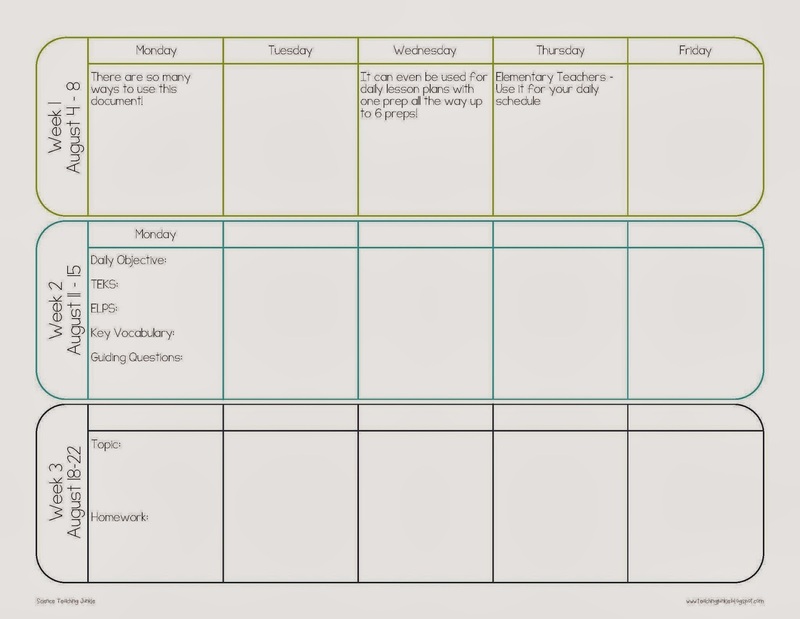 Each student is accountable for his/her own work. They can't rely on a partner doing anything for them, so the student quickly realizes where he/she needs to focus and what needs a little more work before the test. And this year, I've made each Category review packet even better. I went through the TEKS with a fine-toothed comb and made sure that I included something from every single Readiness and Supporting standard. So, NOTHING is left out. 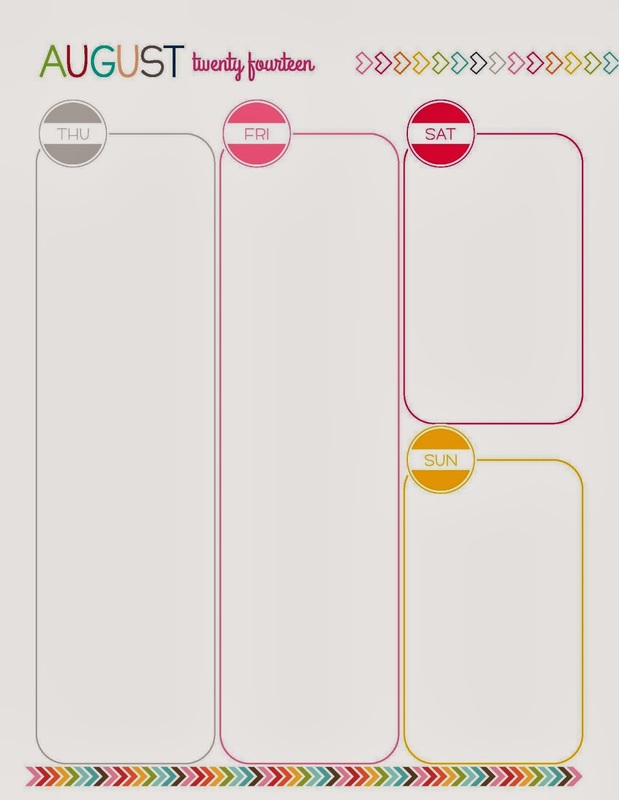 And, I've labeled all of the TEKS. Your students will definitely need some additional resources to help them out when they get stuck on a problem,but I'll discuss that a little later. 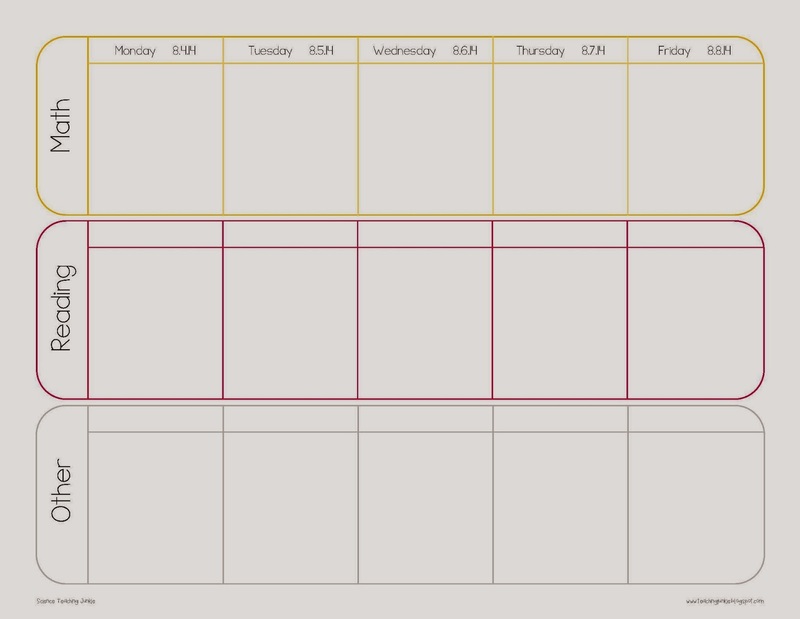 Here is how I've organized this review for my students this year. I purchased a folder with pockets and brads for each student. It is their STAAR folder. They wrote their name and class period on the front and I added a color dot to each folder, since I have my classes organized by colors. I have a special place to store them everyday for students who are leaving them in the classroom. Inside the brads, I included the DynaNotes STAAR Review Guide. It is like a Readers Digest for everything they need to know in each of the 4 Reporting Categories. I have also included a list of the TEKS in each Reporting Category and how many questions will come from each category on the actual STAAR test. I believe it's very important that you explain how the STAAR test is laid out and what is expected of them. This is their "job", so they need to take it seriously and have all of the facts in order to be successful. From the beginning I explained that for 8 class days, they would be working on these packets. Each day they are given a "goal" of how much to complete and if they don't meet that goal, they must take it home and finish meeting the goal before I see them the next day. At the start of the next class, I walk around (while they are working) and check that each student met the goal. If not, they have to call home right then and let their parents know that they are assigned to mandatory afterschool tutorials with me the following day until 5:00. I have been amazed that out of all of my classes, only 3 students have had to do this! I think that just shows how much they don't want to give up their afternoon and they know I mean business. They also know from my heart-to-heart at the beginning of the review, that I think this could be the difference for several of them between passing and failing and that I KNOW if they take this 8 day review seriously, they will be successful. Everyday my students come in and gather up their resources. This is their STAAR folder, their Interactive Science Notebook (with flip-out periodic table and formula chart), a ScienceSaurus book and a textbook. 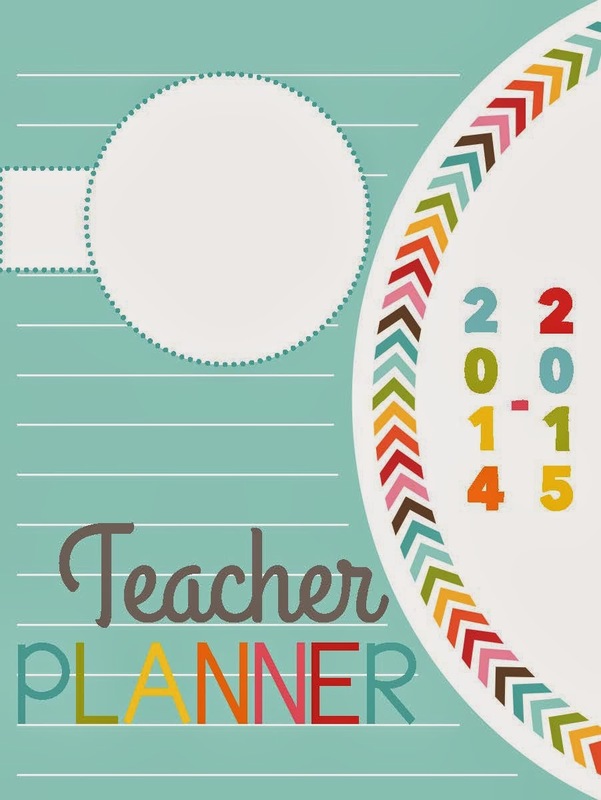 On the board, I have written specific page numbers in each of these resources for them to look at. This keeps them from having to look through the entire book for an answer (maybe they only have to look through a chapter or two). I DO NOT give my students answers EVER. If they need help, I will either show them the page to look at or ask them multiple questions that will help lead them in the direction of the answer. It is important to teach your students how to think and what that thought process should look and sound like. It is equally important to teach them how to access their resources. So, Day 1, we start the Category 1 packet. This packet always takes my students WAYYY longer than the other packets, so almost everyone has some homework that first day. 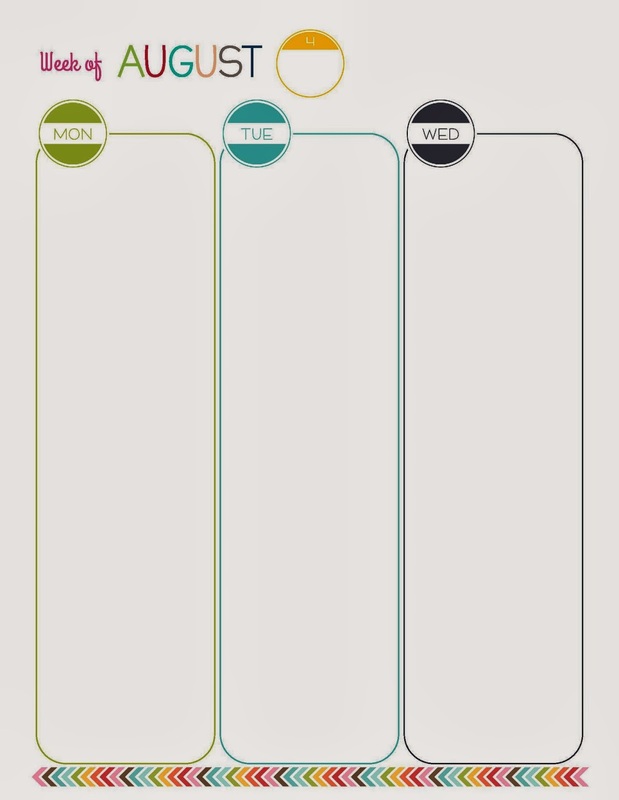 I explain that they will only have 15-20 minutes the following class day to finish, and then we will start grading it. The grading bled over into day 3 a little bit, but that was ok. After grading on day 3, they started the Category 2 packet. On day 4, they had 15-20 minutes to finish and then we started grading. This pattern continues on for all 4 packets. Some of the packets go much quicker for the students depending on their level of comfort with the topics. It all ends up even in the end. I always have the next packet ready to go in case I have early finishers who can get a head start on the next one. After the 8 days, we will be going over the released test they took and correcting it. We will also spend a few days in the computer lab, with each student working on their specific weaknesses. 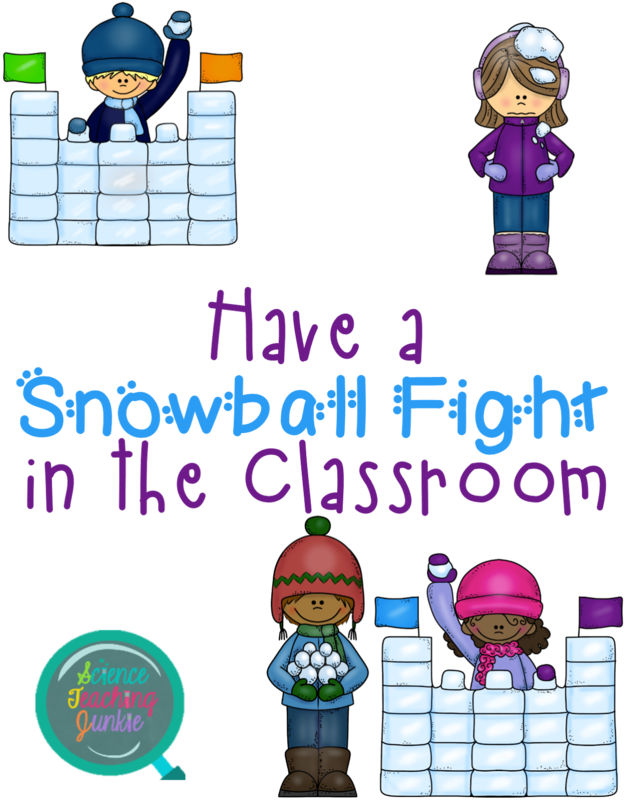 I have set up many games and activities on my classroom blog for students to do. Each activity has been aligned with a TEKS and the students will know what their weakest TEKS are by then. I've gathered this data over the year with district curriculum based assessments and the released STAAR test they took. 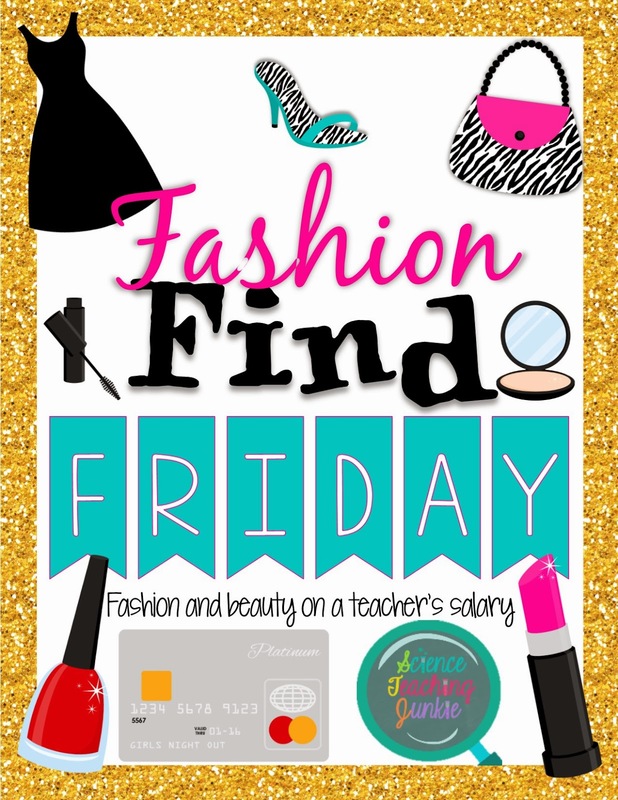 I have provided links for most of the things I've mentioned in this post, so feel free to download and use them for your personal classroom. I would appreciate any feedback or comments below! If you are a follower and frequent reader of my blog, you probably know that I have been using Exit Tickets for a few years now. I have several Exit Ticket products in my TpT store, but today I uploaded a NEW product that I am super-excited about. 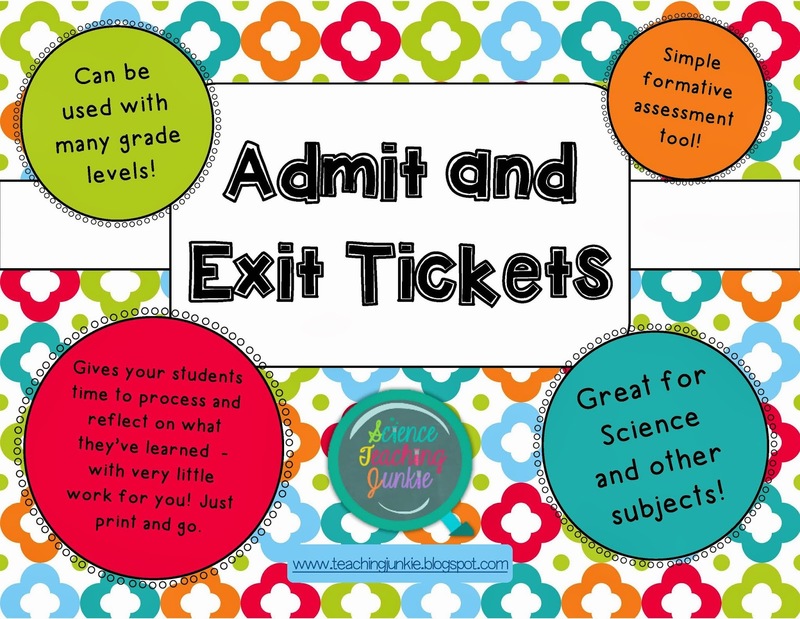 After using the same admit and exit tickets in my classroom year after year, I was starting to get bored with the same format, day in and day out. 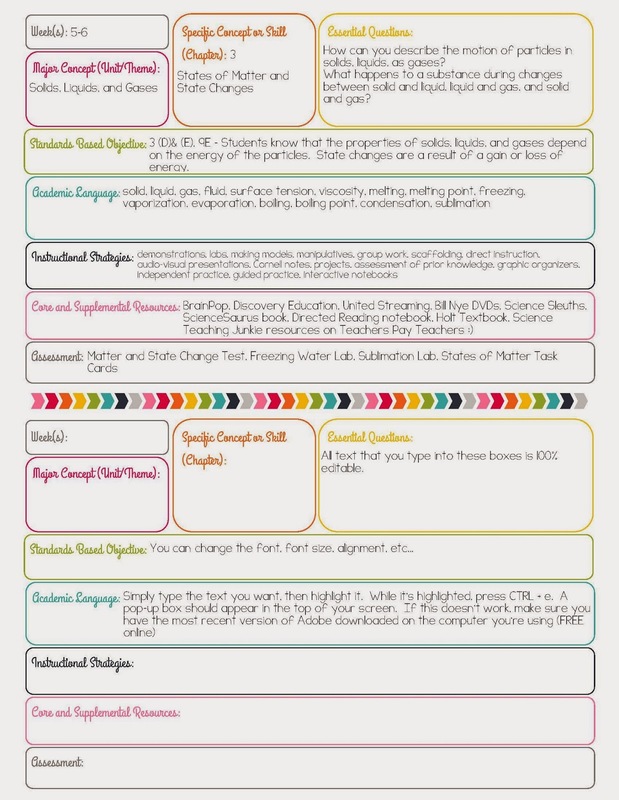 My campus wanted to put a greater emphasis on writing in the content areas, and as a science teacher, this was one of the easiest ways to not only incorporate writing, but to also give my students a variety of ways to demonstrate their learning (so that I could formatively assess them), and also give them more creativity and flexibility in how they did it. I may be totally wrong on this one, but I think a lot of science teachers don't get to see what kind of creative writers their students are. I hear the ELA teachers talking about the types of creative writing assignments they do with the kiddos, but this has never been something I was able to incorporate into what I was doing (with such a time crunch in preparing for the state standardized test, there is very little room for "extra stuff" like this - or at least that's how I felt). What I love about these admit and exit tickets is that they don’t require much additional work for the teacher. Simply print and go! And with 2 on a page, you are saving paper and ink. Each ticket only takes 3-5 minutes at the beginning or end of a class to complete. Occasionally, I will even send the ticket home with my students to complete for homework and use as an admit ticket the following day. 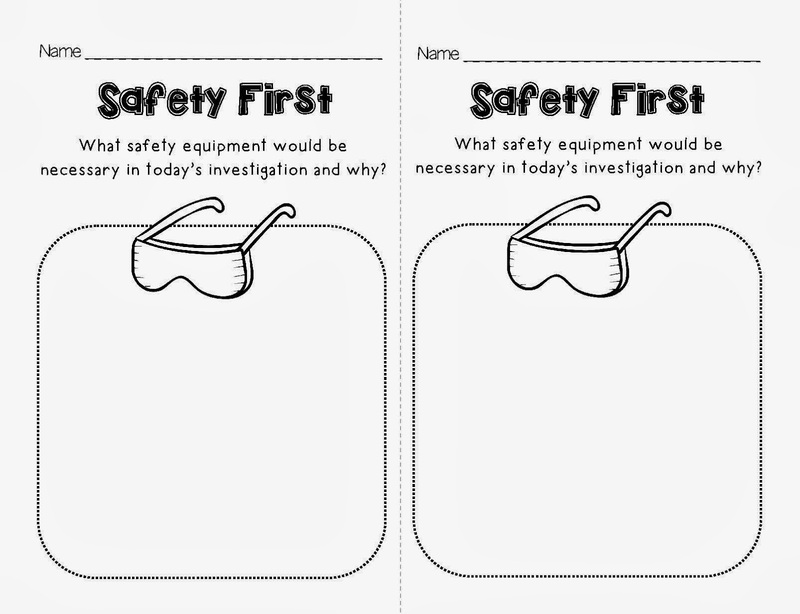 Because I use Interactive Science Notebooks on a daily basis in my classroom, I typically have my students attach these to a left side (output page) that is used for student reflections. Or if it is a ticket that I want to re-visit the following day, I will have students leave the tickets in a special pocket folder by my door that I have designated for each class period. This week, I am wrapping up my unit on Ecological Interactions and starting to review for the STAAR Test. Every other day, my students will be working on reviewing one of the four reporting categories. And for the past several years, the history department head and I have organized a STAAR Camp that spans 2 school days and incorporates 8 different science sessions and 8 different history sessions. The students alternate between a history classroom and a science classroom (completing 8 sessions a day). For the STAAR Camp, I have designed 8 sessions based on our highest needs (according to the data I've collected throughout the year using benchmarking information). About 2 weeks ago my students took the Released STAAR Test and we will also spend 2 class days looking back at the test and going over each question. For that, I've created a page that includes all 54 questions and the related TEKS in student-friendly language. If you are a Texas teacher and would like to have access to this document, feel free to download it HERE. My students will see where their individual weaknesses are so that they can have a more focused, individualized review (since a one-size-fits-all doesn't really benefit each student). One of our sessions is over atomic structure so I am frantically building magnetic atom models to use - I must cut this short and get back to work. My teaching partner is painting the backs of some dry erase boards we had with magnetic paint. I created a stencil of the first 3 rings (energy levels) with my Silhouette Cameo so that he can spray paint them. I am also using my Silhouette to create subatomic particle magnets. And the final cost is much less than the listed price you will find online for comparable models (which can run up to $70)! 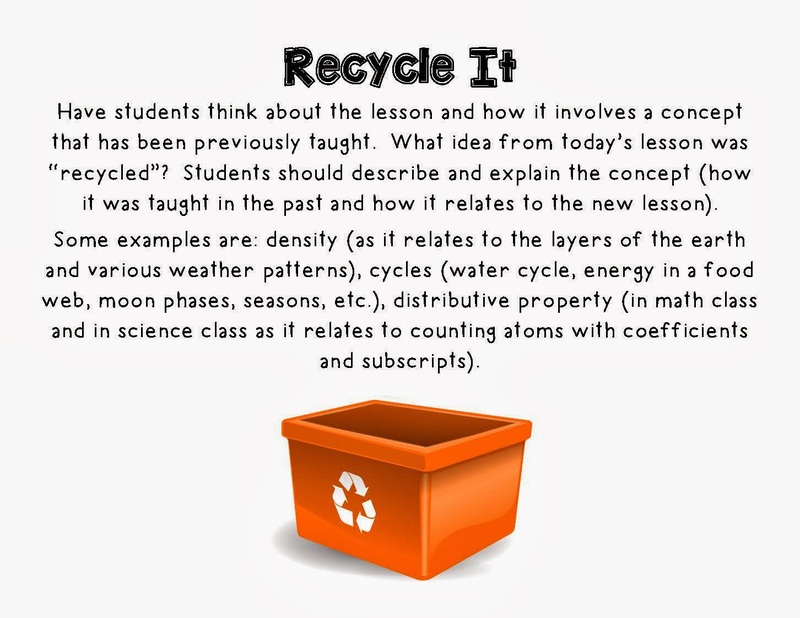 I can't wait to share all of the materials I create for the 8 science sessions. The last thing you have time to think about is your hands and nails. But trust me, if yours are anything like mine, they need some major love, attention, and TLC. I have been using Sally Hansen's Cuticle Rehab for a few weeks and I can already tell a major difference in the health and overall look of my nails. I tend to have very dry skin (from washing my hands so much throughout the day). And the same goes for my ragged cuticles. Before this, they were hideous. Hideous, I tell you! I was truly embarrassed for my hands to be under the document camera - it's like a fancy microscope/projector combo only designed to magnify the disgusting-ness to my entire class. Luckily, they never mentioned how bad it was. What I love about this product is that it is totally portable. I've thrown one in my purse and one on my bed side table. It's a pen with a brush attached to the end of it, so I can apply it any time of day, whenever I think about it. It's not messy at all and smells wonderful. And best of all, it's moisturizing and restores the natural beauty of healthy nails and cuticles. I got mine at my local grocery store for less than $7. I have to give my sis a little shout-out for recommending this product to me. I'm glad she did...I'm addicted! I've tried just about everything under the sun to try and make my eyes look fuller and more beautiful. 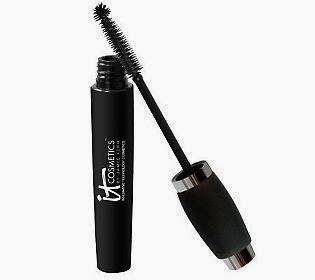 I've fallen for the gimmicks from various products that claim are clinically proven to make your lashes increase in volume and length instantly, even paying over $40 for a little tube of "miracle mascara"! Ehhh! Not so impressed. And certainly not for the amount of money I paid for it. And why do most women use one tube of mascara to do the entire job? Who knows?!? 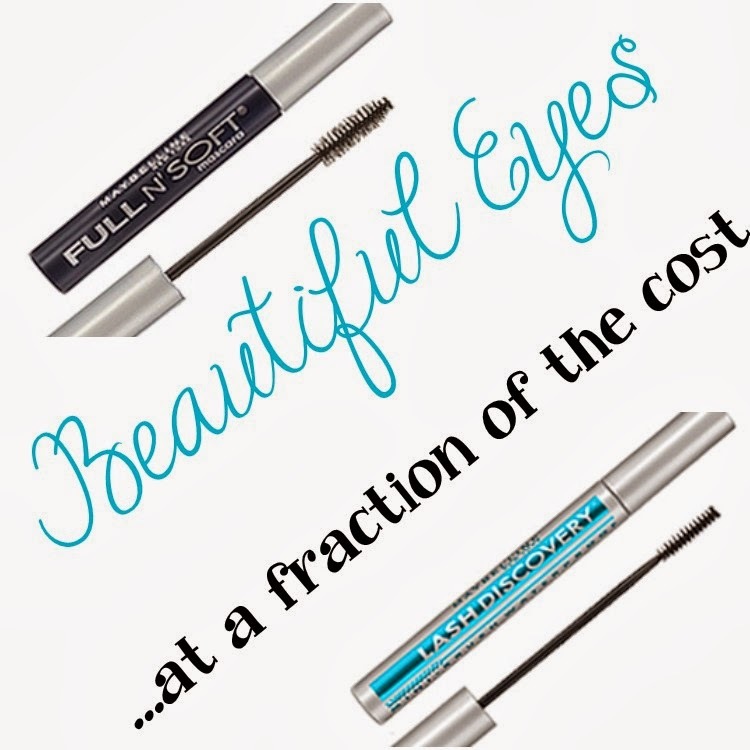 I've discovered a winning combination of products that look great and don't break the bank. Both of these products are by Maybelline and can be purchased at just about any local drug store or grocery store. Maybelline Full N' Soft and Maybelline Lash Discovery (waterproof). First, I recommend using a lash curler. Then...on to the best part. 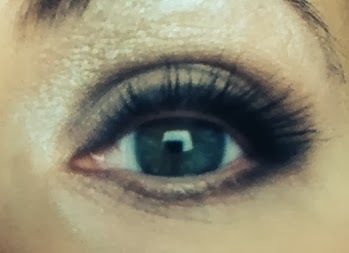 The trick is to use the Maybelline Full N' Soft (in very black) on your top lashes and the Maybelline Waterproof Lash Discovery on your bottom lashes. The Full N' Soft is great at giving a lot of volume to your upper lashes and the tiny Lash Discovery brush is great for those pesky little bottom lashes. I only use the waterproof on my bottom lashes in my regular daily make-up routine to prevent smudging and dark circles. If you happen to have one of those dreadful days when your students are driving you nuts and the "helicopter parents" won't give you any room to breathe on top of being hormonal and tired, the waterproof will definitely come in handy for the tears you will shed in the teacher workroom restroom! :) Ha! I know you've all had one of "those days". This is a great way to review a topic, generate ideas or thoughts, design future test questions and answer them, recap at the end of a lesson, prepare for an upcoming test or quiz, use as a pre-writing strategy to get students' creative juices flowing, and so much more! It's a great strategy for English Language Learners and classes of varying abilities because it gives them exposure to some ideas and sentences that they may not have thought of on their own. And because all of the responses and writing are done completely anonymously, the added pressure of being judged for your responses or not knowing is taken away. 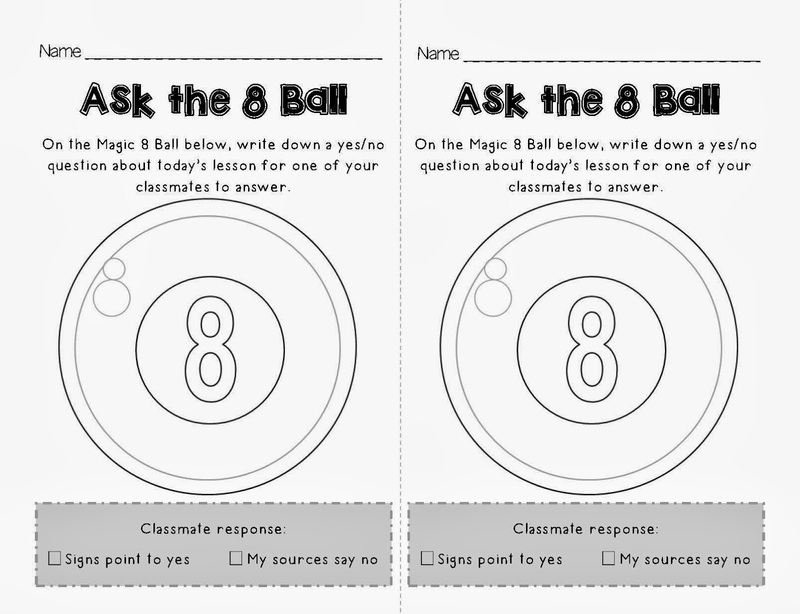 If you are using this activity for test prep, review or recapping a lesson, you can either give the students a topic and tell them to write down one factual statement they know about that topic, answer a question that could have multiple correct answers (it's best to avoid questions that only have one correct answer for this activity), or have the students write down one question that their classmates should be able to answer for the upcoming assessment or by the end of the lesson. When students are done, instruct them to crumple up the piece of paper into a "snowball". I usually tell them to stand quietly with their snowball until all of the classmates are ready. (This gives me an easy visual of who is still writing/working.) Once everyone is standing, I yell "Snowball Fight!" Students are only allowed to throw one time. Then, they must pick up a snowball that landed near them. If there isn't one nearby, they must go find one. If a student doesn't write down an appropriate response the first time, it's okay. Hopefully a classmate will catch the mistake and respectfully bring up the misconception that needs to be addressed. Then, you move on and have a second chance at being successful on the next turn. And worst case scenario, the student that is struggling may end up piggy-backing on the idea of the person before them. For struggling learners, this in itself is an accomplishment and a step in the right direction, so just go with it! 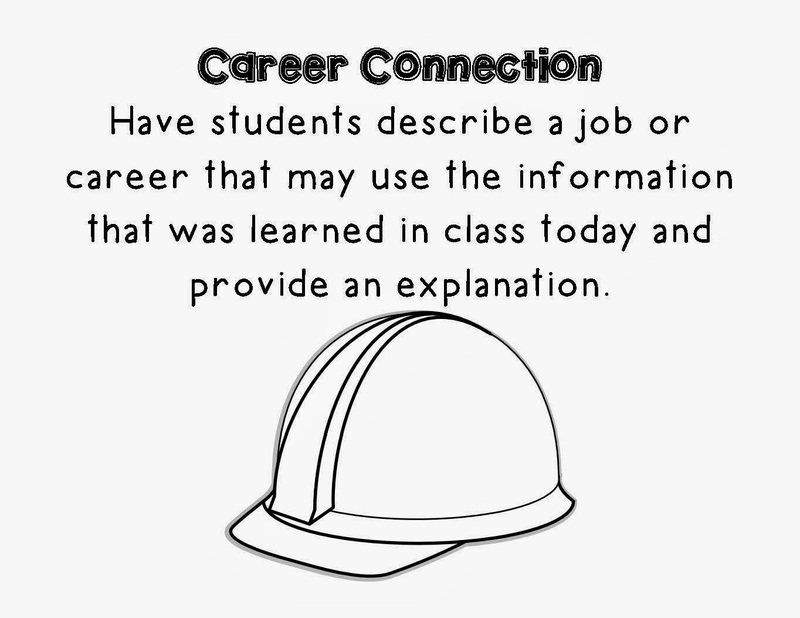 The list of details that students may generate are almost endless. Your students will probably start off with the "big picture" ideas, but as the activity continues, challenge them to think more deeply and to start getting into the smaller details of the topic you have presented them with.